The Tulum Ruins behold not just large reptiles, but a beautiful nod to Mexico's Mayan history. 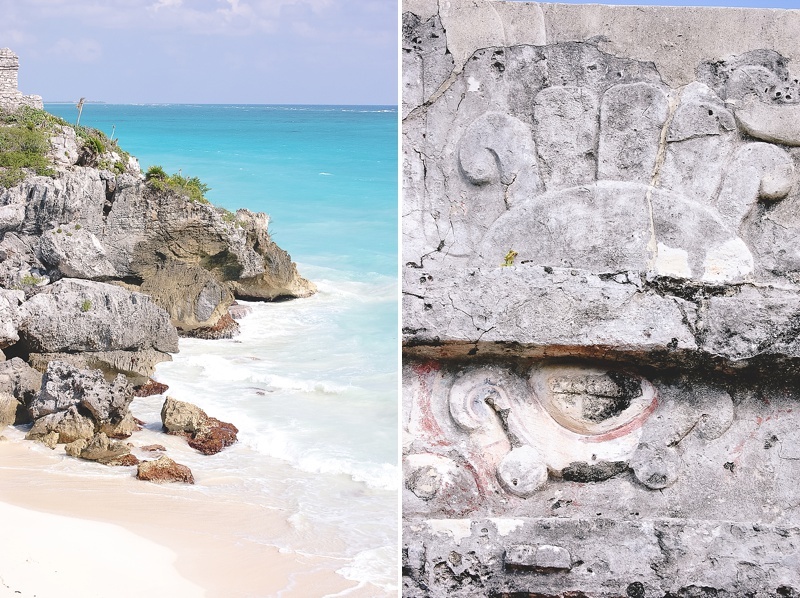 s the only seaport city for the Ancient Mayans, the Tulum Ruins showcase a ghost of early Mesoamerican history (that gives more questions than answers to historians and theorists alike) and a beautiful beach overlooking turquoise blue waters like none other. Since this destination was part of my and my husband's honeymoon in 2009, we were packed and ready for a Caribbean cruise adventure. For fair-skinned friends, the number one thing you want to pack is that sunscreen. The sun is hot, hot, hot here and is definitely stronger than our Virginia rays. We visited in December, and it was a very warm excursion where we wore shorts and short-sleeved shirts. You'll also want to pack your sneakers as there is quite a bit of walking involved at the Ruins. Every step is worth it! If you have some time to enjoy the Tulum beaches, definitely bring a towel with you as the sandy shores are located right below the Ruins. Quick Tip: If you are cruising to this destination, bring your motion sickness meds. The 45-minute ferry ride we had from Cozumel to Playa del Carmen/Tulum was not exactly smooth sailing. It was a very new ferry that believed rocking side to side was the hip thing to do! Needless to say, I don't get seasick, and I was reaching for the little wax-coated baggie... along with 50+ other people on the same ferry. 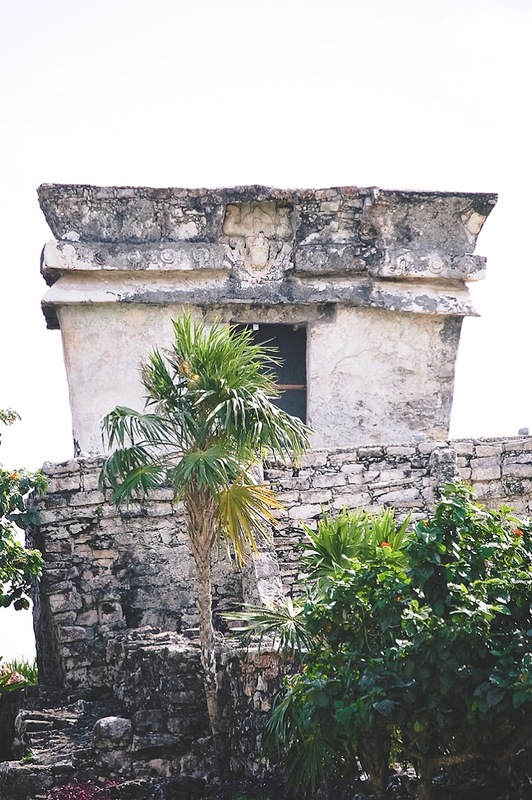 Many don't realize that the Tulum Pole Flyers at the entrance of the Ruins is a pretty significant ritualistic tradition to the ancient Mayans. 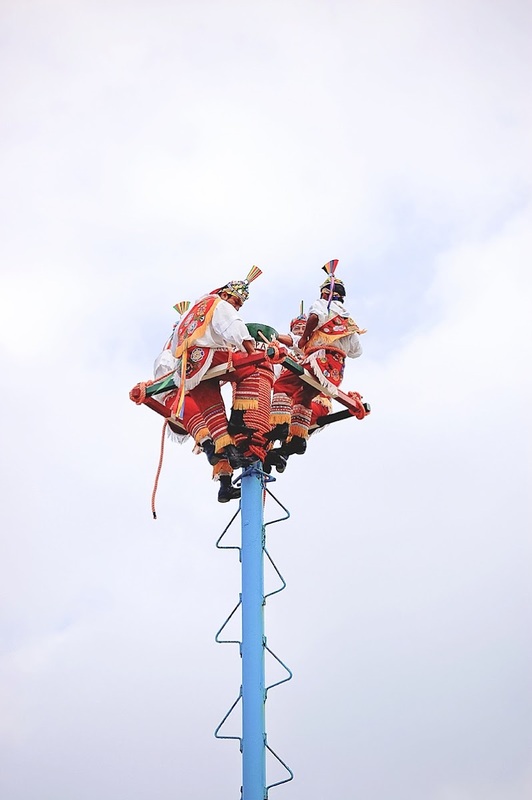 Called Danza de los Voladores (Dance of the Flyers) or Palo Volador (Pole Flying), the aerobatic ceremony was said to bring on rain during periods of drought in ancient days while nowadays we watch for its beautiful colors and movements as a way to honor that historical past. Also at the entrance, there is the craft market that boasts some local handcrafted goods, jewelry, and refreshments. It's geared towards tourists, so both pesos and American dollars are accepted here. If you're a souvenir kind of person, this is definitely where you want to get your trinkets to take back home. From the craft market, there is about a mile walk to the Tulum Ruins, but you can take a short little motorized train ride up if you're wanting to save your energy in the heat. 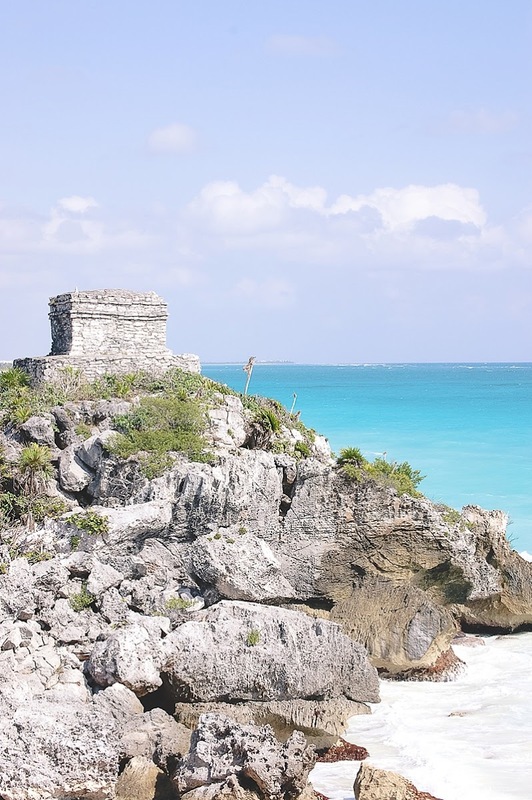 The moment you step into the Tulum Ruins, there is a solemn silence that's hard to explain. Though it was bustling with modern day people the day we visited, you couldn't help but feel the vibrations of a once thriving, now vanished civilization. With stones discolored and weathered by centuries of salty air and climate change, the remnants of buildings stand like gray ghosts of days past. Can you even imagine that these structures were originally splashed with vibrant colors? If you love historical mysteries, it will make complete sense why this place has boggled archeologists for decades. 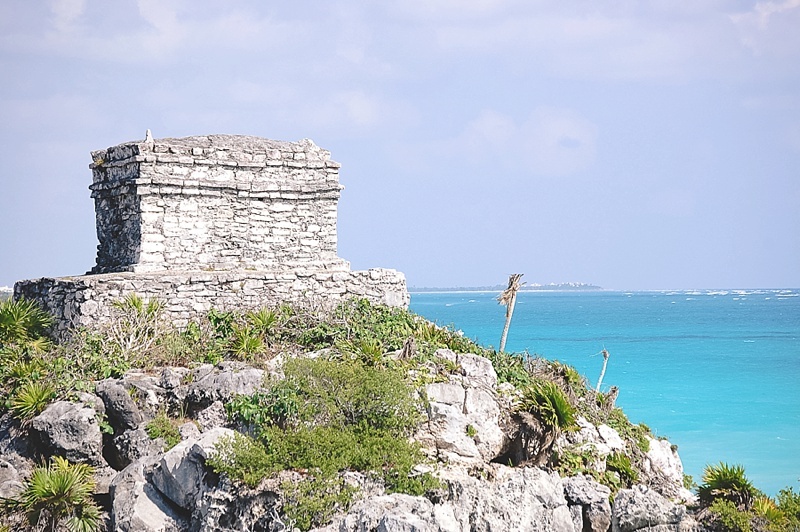 "What happened to this ancient seaport and the rest of the Mayans after the 15th century? After the Spanish conquest, why did a powerful and innovative civilization completely disappear?" One of the most well-known features of the Ruins is El Castillo (The Castle), the brooding pyramid atop the bluff overlooking the Caribbean... but don't get this mixed up with the idyllic watchtower! El Castillo may be the tallest building within this area, but I think the little watchtower definitely wins the most photogenic award with its epic beachy backdrop. There are temples, living quarters, and other buildings that were once home to more than a thousand Mayans, but just like nature is wont to do, the iguanas now reign supreme in this quiet kingdom as they take their rightful places as the official sunbathers of the rocks. We ended up seeing who saw the most iguanas because there literally were tons of them crawling everywhere. Naturally, I won the counting contest, but possibly only due to my new bride status. Hey, I'll take it! Quick Tip: I highly recommend bringing a camera lens that can photograph distances. 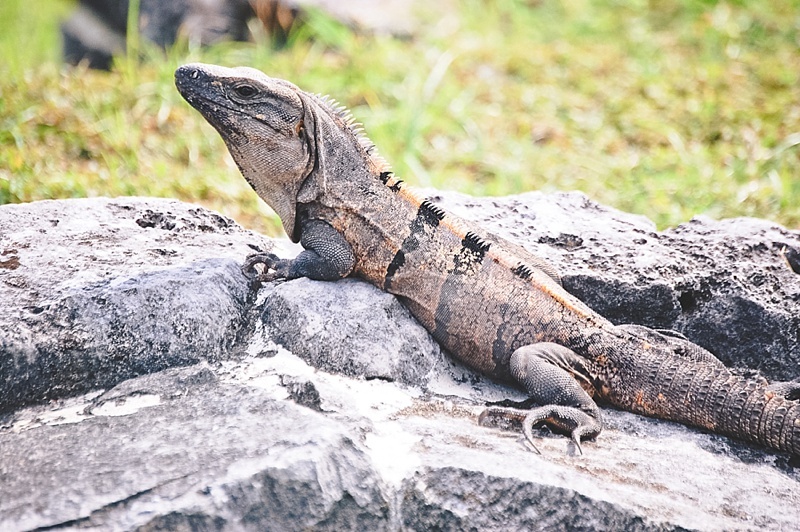 You won't be able to get up close and personal with a lot of things here at Tulum (particularly the iguanas! ), so having that extra focal length will be handy! As the third most visited site and only coastal Mayan city in all of Mexico, it goes without saying that the former "City of the Dawn" is one to add to your travel bucket list. With the breathtaking and romantic views of the Caribbean to the unsolved stories of its past, the Tulum Ruins keep us appreciating what it offers to modern day traveling couples.